NOLA: Take Action to Keep Cyclists Safe! Our friend and club member was shot while on our weekly group ride, Saturday May 13th. While he has survived, he has a bullet still lodged in his back, dangerously close to his spine, and causing nerve damage. This escalating violence against cyclists must be put to an end. In the past year, members of our club and other folks who ride bikes in New Orleans have been purposely run off the road, shot at with paintball guns, beaten with baseball bats, and now being targeted with REAL bullets (not a BB gun as NOPD conveniently announced). Those committing these crimes are doing so because they know that they likely won't be investigated or caught. 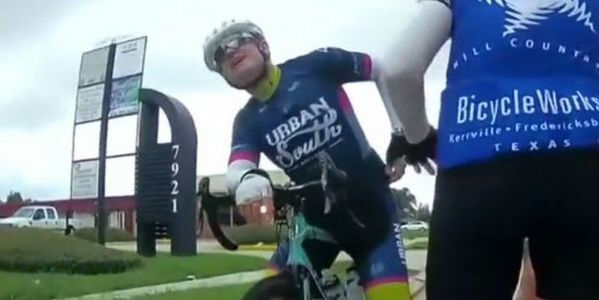 Members of the New Orleans cycling community have continually submitted the license plates of motorists who have intentionally harassed and/or run cyclists off the road, without so much of a follow-up call from NOPD. We have simply become fodder for target practice with no repercussions for those seeking to inflict violence. The NOPD doesn't seem to care and often seeks to minimize our fears and desire to cycle safely through our city. To put it simply, we are viewed as second-class citizens. Despite an impressive increase in cycling routes and infrastructure to get around the city, what good are bike lanes if people aren't safe to use them? What steps are being taken to ensure cyclists can safely use our streets without fear of harassment, injury, or death? When will we be recognized as REAL people who have REAL families that pay REAL taxes and vote in REAL elections? It's getting harder to justify to our families that riding a bicycle is a sensible thing to do in a city that does not value the life of its residents that traverse the streets via bicycle.